Here’s a little clip about who we are and what we are doing. Bella has been wanting to volunteer at a dog shelter forever. While we were in the Turks and Caicos she found a site online for Dogs and Cats of the Dominican Republic. It turns out that a couple of people that work for the very same organization live right here in Luperón. Well, the first Tuesday of every month they have a clinic where they take care of local dogs. We as a family volunteered to help out today and this video is a small glimpse into the beautiful work that they do. the music is under a Creative Commons license. Here’s a little clip about who we are and what we are doing. In this episode, we are wrapping up our delivery back to Baltimore, MD. We encounter equipment failure, bad weather, good weather, good wind and no wind. We make the long open ocean passage from the Bahamas to Charleston, SC. then enter the ICW in Buford, NC. Our hired Captains jump ship for a more important delivery and leave Paul with two new Captains for the 24 hr. run up the Chesapeake Bay. With the new crew comes a whole new dynamic. Finally Paul & SV BellaLuna (formerly “Catchin’ Rays”) pull into Baltimore after 19 days at sea and a long over due reunion with the family is in order. In this episode, we find the crew of SVBellaLuna off of the coast of Puerto Rico heading toward Turks and Caicos to take shelter from predicted weather. We bring a sweet little Mahimahi onboard for a few meals, Paul’s choice of pasta goes down in the log as one of the worst dishes, the spinnaker goes wild and Owen tries to tackle the shitter rebuild. There is plenty of beautiful blue water sailing in this episode to make up for the lack of sailing in our other videos! In this episode, Spring finally decides to show it’s face in Baltimore, so the crew decides to take advantage of it and go for a family hike at Loch Raven. They spend some time together before Paul has to leave to meet his long time friend Owen Nieder in Tortola. Owen and Paul take care of some work and errands before embarking on a trip around the island of Tortola. They also have to pick up the hired “Captains” for the delivery and wind up with some extra time on their hands to enjoy a beer or two and some S%^T talking. Once everyone is aboard they throw off the dock lines and head out. Once out on the water they run straight into some weather and the starboard engine overheats causing them to spend the night on a mooring at Jost Van Dyke, and island in the BVI’s. In this episode, we are “The Boatless Boat Owners” We bought the boat weeks ago but she is still in Tortola waiting for us to come fetch her. In the mean time we are getting cabin fever here in Baltimore waiting for Spring to actually act like Spring. Once the weather breaks for a little bit, we jump in the car and go visit some of Maryland’s beautiful thoroughbreds. We celebrate Bella’s 10th birthday and she receives the re-born baby (a hyper-realistic baby doll) that she had been wanting for a long time. Paul had to take a trip down to Tortola to take an inventory of everything that is onboard Catchin’ Rays (Soon to be SV BellaLuna) in preparation of our up coming 1,400 mi. delivery back to Baltimore and the Chesapeake Bay where we will start our voyage. In this episode, we sea trial the catamaran “Catchin’ Rays” a 42′ Fountaine Pajot Venezia, in hopes of making her our own. We take a trip to Tio Dave’s house at the beach for some fishing and chilling. We also spend some time with the wild horses on Assateague Island, MD. Then we, head back to meet up with our boat broker where we sign on the dotted line and make it official…We own a boat! 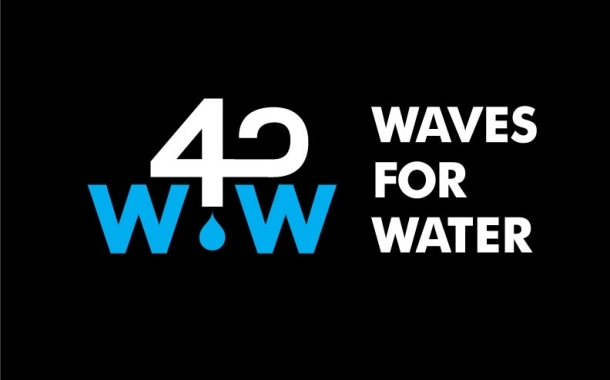 Today is World Water Day Please help support our Waves for Water courier project. We are trying to raise funds to buy water filters that we will distribute to people in need of clean water on our up coming trips to the Caribbean. Please donate couple of bucks (even just a beers worth) to help us reach our goal. 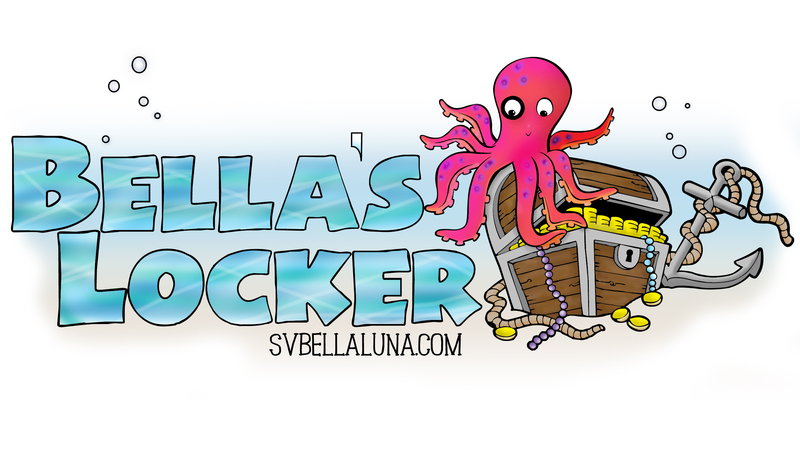 We have a new feature here on SVBellaLuna.com called “Bella’s Locker.” It’s a blog style page where Bella will share her interests, stories, reports, book reviews etc. Her first post is a report she wrote about Assateague Island and it’s wild horses. Be sure to book mark the page and check back to see what she has has goin on.